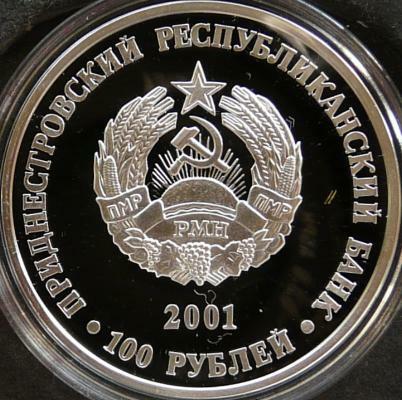 The series comprises nine silver and nine gold coins issued in 2001. 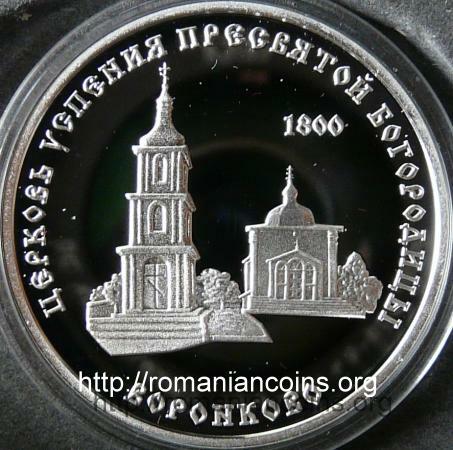 Another silver and one golden coin were added to the theme in 2006, both with the cathedral of Rîbniţa. Raşcov is a village on the left bank of River Nistru, between the cities of Camenca and Rîbniţa. In medieval times Raşcov was a small town. The borough of Raşcov is mentioned in the chronicle of Miron Costin, in the chapter about the reign of Vasile Lupu's son: „Ştefăniţă-voivod here, as a young man, her sister, lady Roxanda, not wanting to come on account of his father's and his letters in the country from Raşcov, borough that Hmil [Bohdan Khmelnytsky] had given, after the death of his son, Timuş, have sent army against Raşcov, to beat it and take her forcingly. 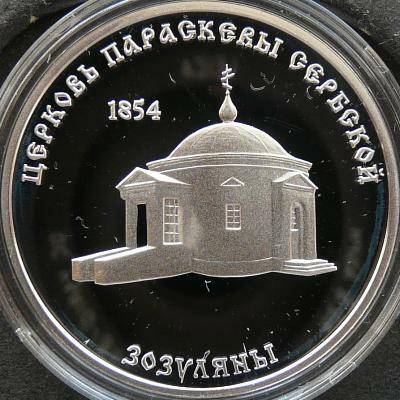 Alas nothing could ours do to Raşcov, only some riot with the Cossacks did they". Zăzuleni is a Romanian village on the left bank of River Nistru, vis-à-vis with the renowned cave monastery of Ţîpova. Zăzuleni is merged with another Romanian village, Popencu. After the war at Nistru in 1992 the village has fallen inside the Transnistrian separatist region of the Republic of Moldova. 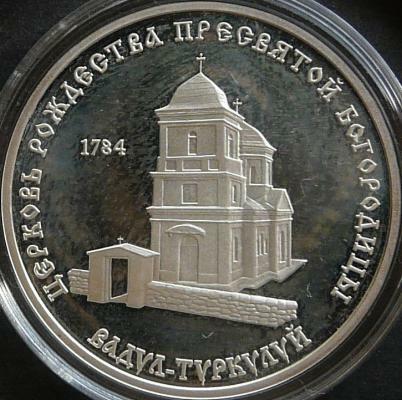 The church of Zăzuleni, dedicated to Saint Paraskeva, protectress of Moldavia, was chosen by Transnistria to appear on a coin from the series "Orthodox Temples of Transnistria". 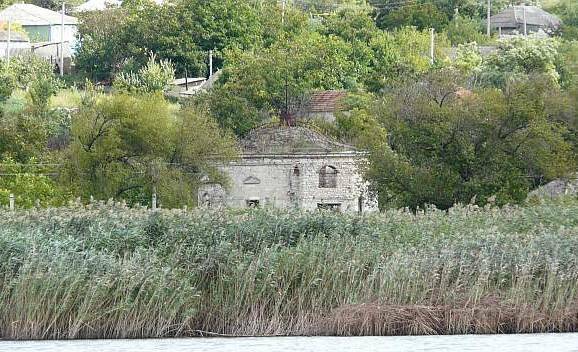 The church is placed right on the bank of River Nistru, between reed and willow trees. As you can see in the picture above (September 2008), today the church is ruined. 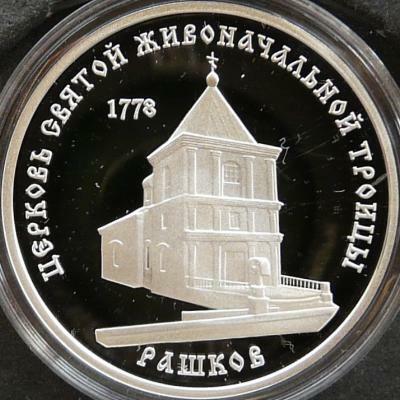 So the coin must have been designed after an old times pictrure. The relics of Saint Paraskeva, protectress of Moldavia, are kept at Iaşi, former capital of Moldavia and major city of Romania, where voivod Vasile Lupu installed them in the church dedicated to the Saint Three Hierarchs. During the Middle Ages the relics were moved several times. 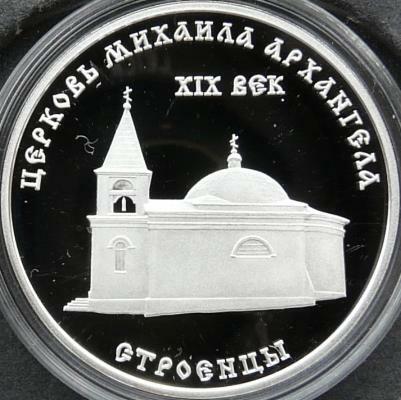 Due to the period when the relics were kept in Serbia the erroneous opinion appeared - found in the name of the church of Zăzuleni - that Saint Paraskeva was of Serbian origin. The Romanian name Parascheva is used mainly by the Church; the people call the saint Paraschiva, variant often used as given Christian name. Stroieşti is a village placed on the left bank of River Nistru, between the cities of Camenca and Rîbniţa, downstream Raşcov. Vadul Turcului is a village near the left bank of River Nistru, between the cities of Camenca and Rîbniţa, downstream Raşcov, near Stroieşti. 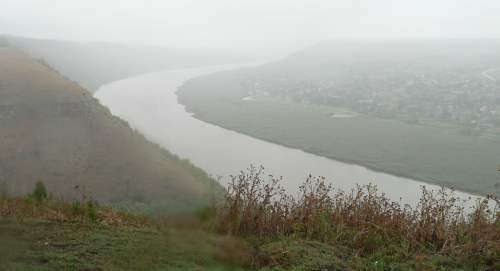 Vărăncău is a village near the left bank of River Nistru, downstream Rîbniţa.